Scam: Yet Another Scam: Can You Trust That Dial? Here’s an insidious scam that we at BeckerTime are particularly concerned about. Can you trust the dial on that vintage Rolex you just bought? This particular scam has three facets: a refinished dial masquerading as original, an artificially patinated dial, and an outright counterfeit. Modern day dial refinishers are very, very good at replicating a new finish on a dial. This one may happen most often on a relatively new watch where the dial was damaged in, say, a servicing situation. Ask the question of your seller – has this dial been refinished? And “buy the seller as much as the watch” goes here too. Artificially patinated dials (where the patina has been generated by chemical or other means) happens a lot with the so-called tropical dials. Tropical dials are vintage black dials that have turned brown due to imperfections in the mixing or manufacturing process for the black dial coating. A very genuine looking effect is easy to generate with the right chemicals, and is often very difficult to detect. Last are the counterfeit dials. 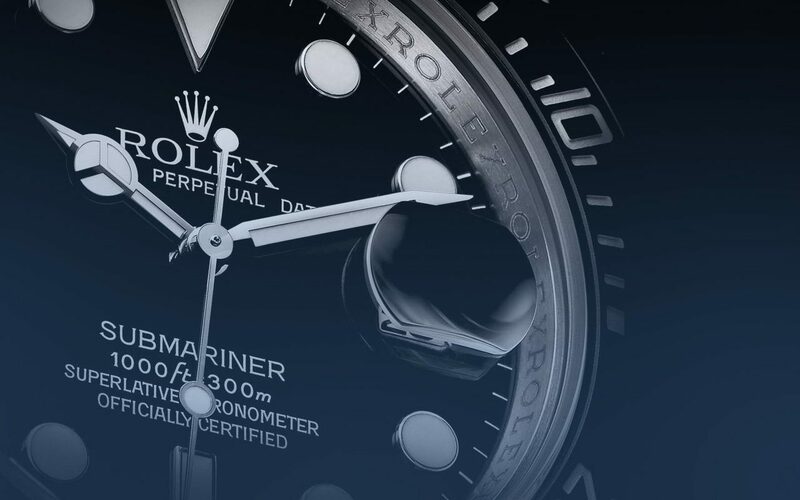 Counterfeiters, especially those working in Asia, have become so good at their tradecraft that long-time Rolex collectors and experts are beginning to avoid the vintage market altogether. They just can’t tell genuine from fake. In order to tell a good dial from a fake, you need to know the arcane details of fonts, ink colors, lume application, logo, words, numbers, etc. as they apply to the reference you’re observing. Here’s a heart-stopping article on fake dials from Rolex Passion Report. If this doesn’t make you think twice before buying a vintage Rolex, we’re not sure what will. Caveat emptor – buyer beware, today as never before.